Now, let’s get something straight from the start – Fantastic Beasts: The Crimes of Grindelwald wasn’t great was it? As a Potterhead I always look forward to the next film in the Wizarding World franchise, but the sequel to to the hit blockbuster Fantastic Beasts and Where To Find Them was all over the place, leaving me and many others reading the plot description on Wikipedia in an attempt to get our heads around what on Dumbledore’s beard happened. However, The Crimes of Grindelwald was redeemed by its incredible use of special and visual effects (VFX) which blew our Muggle brains with how real everything looked. This was also the case with the first Fantastic Beasts meaning it is no wonder incredible footage, which shows what the film looked like before and after VFX was used, has gone viral receiving nearly three million views so far at time of writing (December 26). Last week (December 19) YouTube channel Fame Focus, which is known for sharing amazing videos which showcase VFX, decided to dedicate a video to Fantastic Beasts and Where To Find Them. 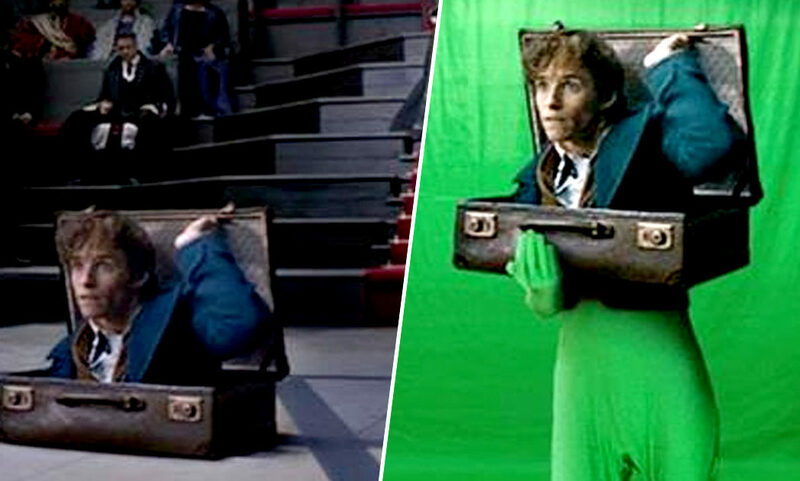 Contrasting footage from the film behind the scenes, the nine minute video shows how VFX companies Imagine Engine, Rodeo FX and DNEG brought to life 1920’s New York, Newt’s various fantastic beasts and magical sequences including the one where the magizoologist and Jacob step into the famous suitcase. In an interview with The Independent last year, visual effects supervisor Pablo Grillo discussed how J.K. Rowling’s fantastic beasts were brought to life using VFX. Being a part of the process from day one of the film’s production, Grillo said the director of Fantastic Beasts, David Yates, and the rest of the crew realised how important visual effects would be in making the movie. We were given a lot of creative freedom from the beginning, there was almost an alarming level of trust in us and the team. It was an open brief, essentially. David saw the value in bringing the animation team in from the start, to shape how these creatures were going to come together. We were put in charge of overseeing how the animals were going to grow into real characters, and not just the flat images we drew them as. We went through months of creating situations and funny moments with David and the producers, before chiselling it down to the batch that made it into the final film. From there we could start to formulate behaviour, or visual gags, and how we could build them into the big set pieces – little quirks actually informed the final script. It was an incredibly fulfilling process overall – mainly because of the challenges open to us. While Grillo admits there were challenges along the way, I think we are all in agreement they did a smashing job meaning the hard work certainly paid off!